We are providing White Ant Control Services for all Commercial and Industrial spaces. Ants are close relative of bees and wasps. They are social insects and live in colonies. They are familiar insects that are easily recognized, especially in their common wingless adult forms, known as workers. Several species of ants commonly live in and around our home offices and buildings. Kickpest already included the red and black ants under cockroach control. If our esteemed clients ask us to carryout exclusive ants control, we will carryout the same with odourless chemical spray. We prevent White Ants, in any stage, by injecting method (To drill effected area, Floor or wall and put the chemical in specific area) by liquid chemical and powder. 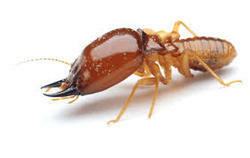 Termite is commonly Known as White Ants. That’s why many customers know it as white ant control treatment. We provide Pre Construction & Post Construction Anti Termite Treatment. 2-5year warranty is given. Complaints if any would be attended & necessary termite control treatment will be done. Termites or ‘White Ants’ as they are commonly known, are social insects that live underground in colonies of millions. They feed on anything containing cellulose i.e. wooden doors, furniture, fixtures, paper, books, clothes even currency notes. Termites, also popularly known as ‘White Ants’ have been on this earth for more than 250 million years, long before human beings. They eat cellulose material and are known to damage even non-cellulose materials.